Get ready for an exciting gastronomical affair that will reinvent the Malaysian food court experience as the people behind Urbanscapes (Freeform) brings us Tiffin Food Court, a three-weekend long thematic fiesta, held in collaboration with more than 30 vendors and partners. The main objective of the event is to create a ultimate multi-layered, food court experience serving food from every continent including hawker favourites and casual interpretations of haute cuisine, creative cocktails, music, parties, and more. 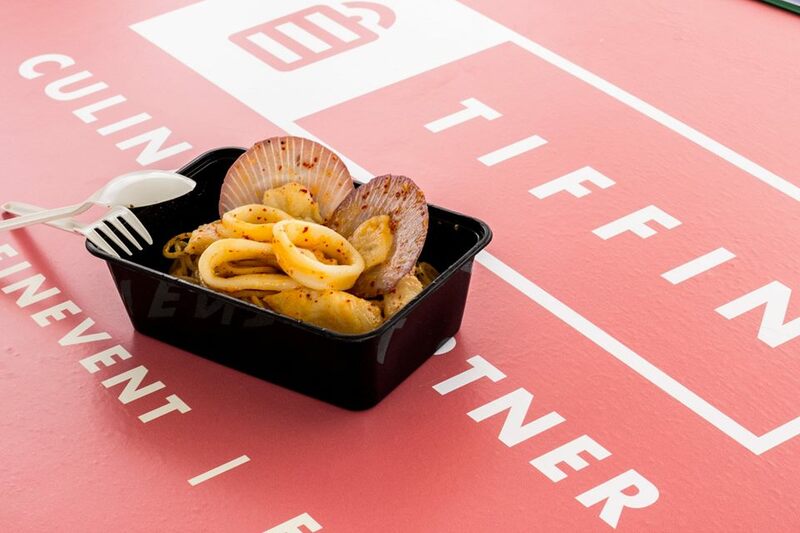 “Tiffin Food Court is our take on the quintessential Malaysian food court experience, be it in a shopping mall, a suburban medan selera or the sprawling late night wai sek kai that are almost our second homes,” said Adrian Yap, founder of Tiffin and Freeform. 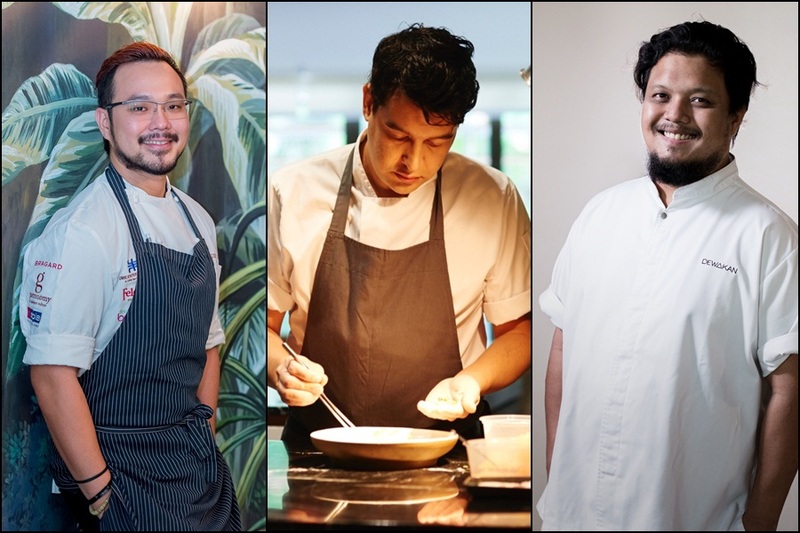 “We want to carry on the legacy of congregating over good food and mate nights over communal tables, but reinterpret the experience to reflect our time and the change towards more global tastes and palates,” Yap continued. The gastronomical fair will take place at the former Tamura Warehouse in Kelana Jaya, adjacent to the Western Digital building on the LDP. The event will also feature personalities behind famed restaurants serving international cuisines such as Dewakan’s Darren Teoh and Sitka Studio’s Christian Recomio who will collaborate and host three-day pop-ups at Tiffin Food Court serving casual versions of their haute cuisine. Asian Food Channel host and executive chef of Define:food, Malcolm Goh, will also host a weekend each. Other food brands and vendors that will be at the food fiesta include KGB - Killer Gourmet Burgers; El Maíz Venezuelan Cuisine, Lucky Cuisine Restaurant, PULP by Papa Palheta, Softsrve, and more. Meanwhile, Mezzanine Cocktail Bar will pour hand-crafted cocktails developed by The 2017 Bar Awards Kuala Lumpur Bartender of The Year CK Kho, whose renowned projects, Coley in Bangsar and gin bar Pahit, also nabbed Best Hospitality and Best Cocktail Bar, respectively. 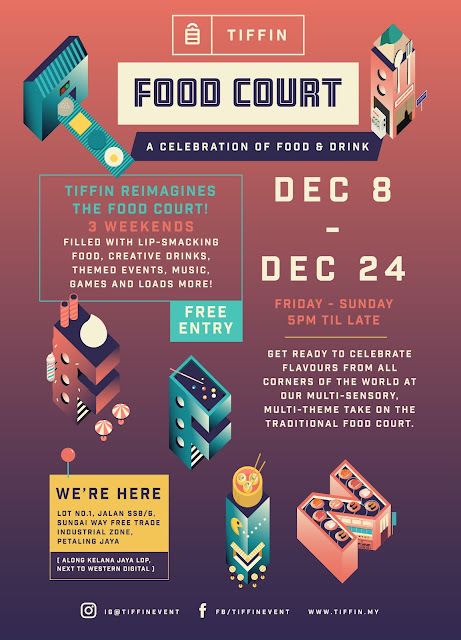 Tiffin Food Court will open every Friday to Sunday, 8 to 24 December 2017 from 5pm until late, at Lot No.1, Jalan SS8/6, Sungai Way Free Trade Industrial Zone, Petaling Jaya. 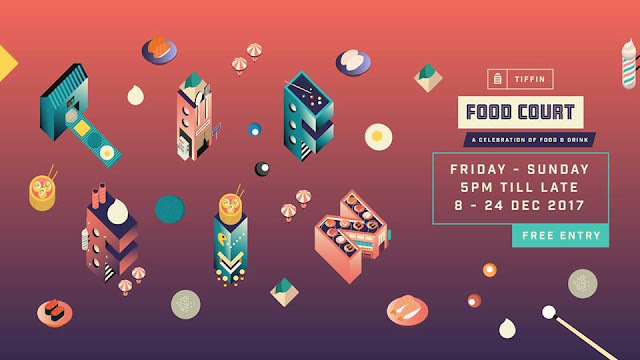 The three-weekend of food affair will be buzzing with music performed by a rotating roster of DJs curated by the experimental art and music collective Paras Bunyi. Check out full list of vendors and programming tiffin.my.